Each year, Rock Point School students participate in the Vermont Young Playwrights’ Project, working with professional playwrights, directors, and actors to learn about the craft of playwriting. Students write original 10-minute plays to submit to the Vermont Young Playwrights’ Festival in the spring, along with other students from schools around the state. 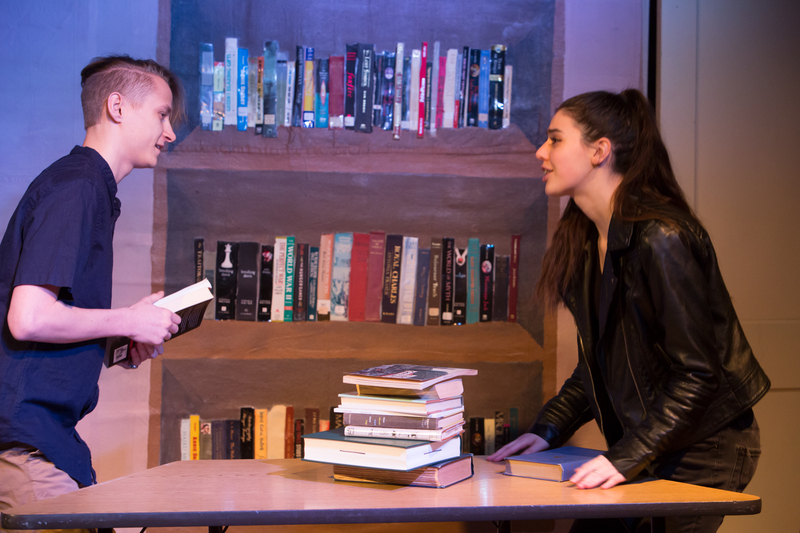 Our students also produce the plays they have written for performance: acting, directing, building sets, making costumes, and running lights. This year, the students will perform four of these original One-Act Plays! When: February 20th and 21st from 6:30 - 7:30 p.m.
Where: The Rock Point School Library. "823" by Val (grade 10) - A father and daughter struggle to find a way to get closure during a family tragedy. "Alice in Cafe Poirot" by Yukiko (grade 9) - Alice wants to tell William that she loves him, but keeps getting interrupted by a series of mishaps in a busy cafe. "Airport" by Jeff (grade 10) - A bumbling duo attempt to board a plane for their mother's wedding, but are held up by the head of TSA, who has a personal bone to pick with them. "Brett is the Best" by Jesse (grade 12) - A lawyer has a backwards idea to get his client out of a jam, involving inventing, and then getting him out of, a juicy scandal. Join us for a fun night of original entertainment!